The year was 1997 and ZooBooks, the largest publisher of animal books for children, wanted to expand into the internet realm with an interactive site to bring the animals to life for the entire world. ZooBooks elected to work with us and we created what was at the time, one of the most robust interactive experiences on the web. Over a decade later and after acquiring clients from across the US to across the earth in Germany, France, Israel, Japan, Mexico and more; we continue innovating at breakneck pace using open-source and proprietary programs to deliver the most advanced websites. Our services and programs have grown to include secure content management solutions, social networks for private business use or public consumption, quickly deployable e-commerce sites and extensive marketing options. Even when Zoobooks is no longer our client, we feel very proud because after dealing with developers after developers, year after year, they realized that we were always right, and the concept, structure and games of the original website are back in a website with a look simply adapted to the current times, but still based in our design. This is one of the best compliments and testimonials we have ever received. We have had clients for over a decade because we get work done right the first time, every time. 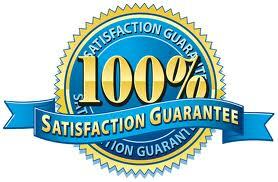 The price we quote you is the price you pay, guaranteed. We produce websites in 12 different languages for clients in over 20 countries..
We will give you the expert support you need to deliver your vision to your consumers.